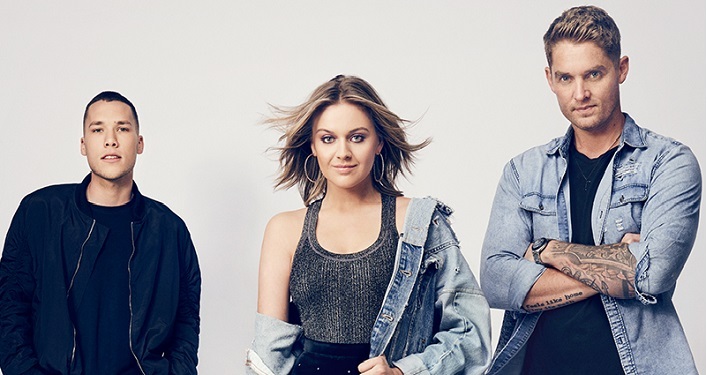 The St. Augustine Amphitheatre proudly announces that country music hitmaker Kelsea Ballerini will be performing her headlining “The Miss Me More” tour with Brett Young and special guest Brandon Ratcliff on Friday, April 26, 2019! The tour is named after her chart-rising bold anthem, “Miss Me More”, the most added new single on Country radio upon release. Praised by The New York Times as being an “elegant songwriter”, Grammy nominee Kelsea Ballerini’s latest single, “Miss Me More”, hails from her acclaimed sophomore album “UNAPOLOGETICALLY”. Continuing to blaze a trail that’s all her own, Ballerini appears on NBC’s hit music competition series, The Voice, as their first-ever fifth coach during the 10-part Comeback Stage series this season. In addition to being awarded high-profile accolades from ASCAP, iHeartRadio, Billboard, and Radio Disney, plus several breakthrough female artist nods from ACM and CMT, the Black River Entertainment artist is nominated for Female Vocalist of the Year at The 52nd Annual CMA Awards.She remains the only female artist in the genre’s history, including female duos and groups, to claim #1 with her first three consecutive singles; Platinum-certified, #1 smashes “Love Me Like You Mean It”, “Dibs”, and “Peter Pan” from a debut album, Gold-certified breakout “THE FIRST TIME”. Brett Young, ACM’s New Male Vocalist of the Year, has racked up four consecutive #1 Platinum hits from his self-titled breakout album, setting him apart as the first debut Country artist since 2014 to claim a 3X Platinum certification. His sophomore album, “TICKET TO L.A”, is due out December 7 on BMLG Records, and its lead single “Here Tonight” is quickly rising at radio.